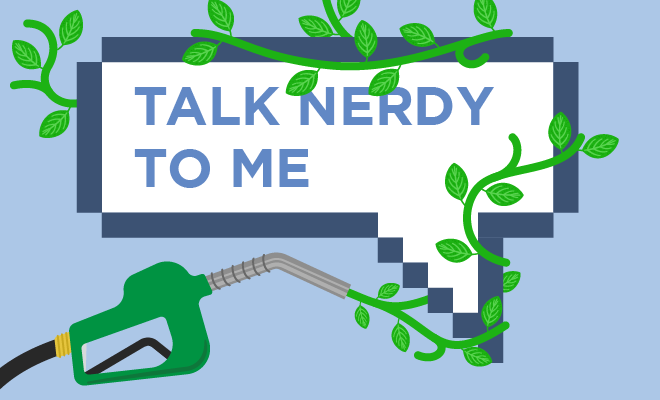 Trees as fuel, transforming cancer into fat, and other nerdy news. What can you do with a tree? By 2021, Swedes may be filling their gas tanks with fuel made from trees. Christian Hulteberg, a chemical engineer from Lund University, has created a polymer called lignin from the black liquor residue left over from pulp and paper manufacturing. Once purified, the lignin can be catalyzed into gasoline or diesel. The process uses wood that isn’t needed to produce paper and pulp. Hulteberg says that this new biofuel has an advantage over ethanol because it’s not derived from crops that could otherwise be used for food. He hopes that his tree-based fuel can help Sweden move away from fossil fuel dependence. But even as one problem seems on the verge of being solved, new threats loom. Self-driving cars are expected to be commonplace in the next 5-20 years. How will that affect traffic in large of cities like London and San Francisco? A transportation planner from the University of California, Santa Cruz predicts an ugly scenario. Autonomous gridlock? Will self-driving cars cruise city streets to avoid paying hefty downtown parking fees? Courtesy UC Santa Cruz. According to environmental studies professor Adam Millard-Ball, autonomous cars will cruise streets at slow speeds, killing time instead of parking. Currently, downtown parking prices motivate drivers to use public transportation rather than drive. But if you have an autonomous car, paying to park is no longer a problem. Your car can drop you off and then cruise the block until you’re ready to return home. In a recent issue of Transport Policy, Millard-Ball analyzes “The Autonomous Vehicle Parking Problem.” He thinks that as few as 2,000 self-driving cars on the streets of downtown San Francisco could cause a two-mile-per-hour gridlock. Electricity and wear-and-tear expenses incurred by continuous driving will be less than parking costs. Millard-Ball says that now is the time for municipalities to implement congestion pricing. He also advocates fitting devices on self-driving cars to help governments manage fees based on other factors like speed, location, and time of day. 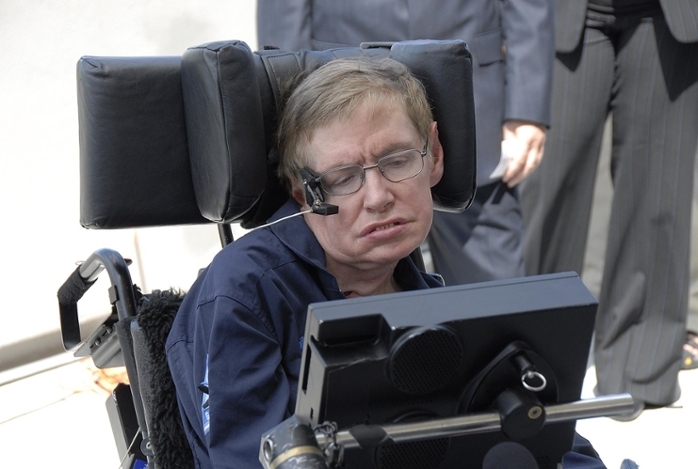 Amyotrophic lateral sclerosis (ALS) caused renowned physicist Stephen Hawking to lose his ability to speak. He continued to communicate using a computer-mediated speech synthesizer that he controlled with the muscles in his cheek. Nima Mesgarani, a researcher at Columbia University's Zuckerman Institute and neurosurgeon Ashesh Dinesh Mehta of Northwell Health are taking this adaptive technology a step further by developing a system that can translate a person’s thoughts into intelligible, recognizable speech. Mehta and Mesgarani asked epilepsy patients who were already undergoing brain surgery to listen to sentences spoken by different people. The researchers measured the patients’ brain activity and used the patterns to train a vocoder to analyze and synthesize human speech. The same patients listened to speakers reciting numbers zero through nine. The patients’ brain signals were run through the vocoder. Neural networks then analyzed and cleaned up the sounds produced by the vocoder in response to those signals. The resulting voice recording of the number sequence could be understood and repeated about 75% of the time. Mesgarani says the technology would give people who have lost their ability to speak a chance to reconnect with the world. This technology can eventually be used to assist people with conditions like ALS or those recovering from a stroke. Many of us resolve to lose weight in the new year. That means losing fat. But researchers at the University of Basel in Switzerland are interested in gaining fat. Biochemist Gerhard Christofori and his team have found a way to get human breast cancer cells to turn into fat cells. Cancer is known to spread and metastasize via two processes, epithelial-mesenchymal transition (EMT), and mesenchymal‐to‐epithelial transition (MET). The researchers treated cancer cells in mice with the drugs rosiglitazone and trametnib. Rosiglitazone is approved for the treatment of diabetes. Tremetnib is approved to treat cancer. When the cancer cells used EMT or MET as a transition pathway, the drugs caused them to change from cancer cells to fat cells. Although not all cancer cells became fat cells, the ones that did transform did not revert to being cancer cells. Christofori believes this approach could be used in combination with chemotherapy to curb primary tumor growth as well as the formation of metastases. He says that because the preclinical study used FDA-approved drugs, translation to a clinical setting may soon be possible. Are you dreading those team-building exercises you’re required to do at the annual office retreat? Let your boss know that video games are the new trust falls. Four information systems professors at Brigham Young University (BYU) recruited 352 people and organized them into 80 teams. Each team first played a geocaching competition called Findamine in which they were given short, text-based clues to find landmarks. After the first round of Findamine, the teams were sent to play video games, complete a quiet homework assignment, or participate in a “goal training” discussion. The teams then did the geocaching exercise again. The researchers found that although the goal-training teams reported a higher increase in team cohesion than the video-gaming groups, the video gamers performed better in the second round of Findamine, substantially raising their score from 435 to 520. Associate Professor of Information Systems Mark Keith suggests that video gaming might be a viable or even preferable option for increasing office productivity.